Anyone can now enrol in two robotics MOOCs, “Introduction to Robotics“ and “Robotic Vision” from Peter Corke at QUT which will run in early 2015. Registration is free. 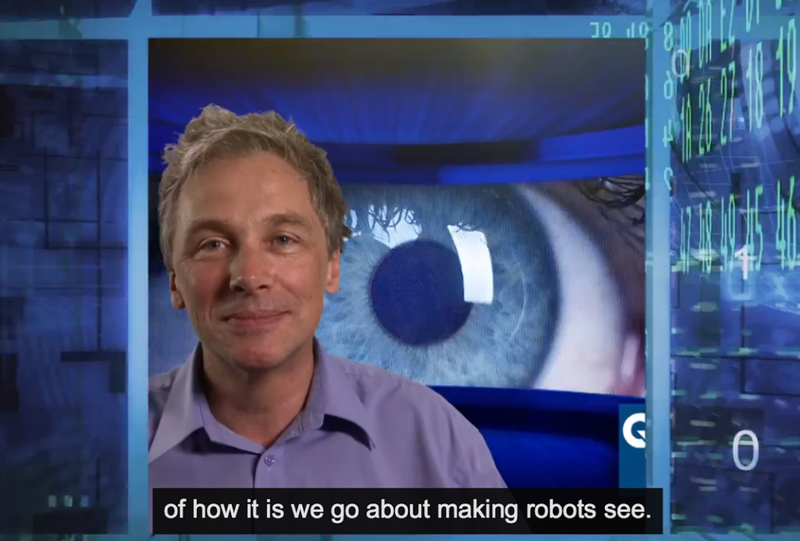 Peter Corke is a professor of robotics at QUT and director of the Australian Centre for Robotic Vision, who was recently featured on the Robots Podcast. He wrote the textbook Robotics, Vision & Control and authored the MATLAB toolboxes for Robotics and Machine Vision. The MOOCs are based on Robotics, Vision & Control. ‘Introduction to Robotics will run from 16 February to 27 March 2015 and covers the topics like; creating and measuring motion, robot arms, forward and inverse kinematics, actuation, endpoint velocity, joint control and rigid body dynamics. You can also build a lego robot and control it with MATLAB. ‘Robotic Vision’ will run from 13 April to 22 May 2015 and covers; image processing and acquisition, spatial operators, feature extraction, color, image formation and geometry, 3D vision, motion and advanced image processing. You also build a robot vision system with a webcam and MATLAB. If you did the first MOOC, you can connect them together to create a vision-guided robot. Each MOOC runs for 6 weeks, with 2 1 hour lectures per week, quizzes, a weekly programming assessment in MATLAB and a weekly grade assessment. The courses are being delivered on the Open edX platform. Visit tiny.cc/robomoocs for more information or to register, and enjoy the story of what motivated Peter to develop the MOOCs.